Holly is a frustrated florist who flees the houseshare from hell to move in with a motley crew of friends: there is Josh, a sexually confused merchant banker; Kate, a high-flying legal eagle with talons to match; and the gorgeous Addison, who spends his days communicating only with his computer. One glimpse of Addison, and Holly is smitten. Now the only problem is how to get him to swivel his chair away from the computer screen and his monstrously ugly — not to mention fiercely possessive — internet girlfriend Claudia, to see Holly’s own adoring gaze. After a series of false starts — involving new friend and mathematician Finn — Holly coaxes Addison away from his virtual romance and out into the open. But “out in the open” spells unexpected disaster for Addison, and, curiously, Holly must help rescue him before her own future can begin to bloom. First of all: have a terrible St. Valentine’s Day as a happy St. Valentine’s Day is not possible in my very humble opinion… and here it goes, in order to make this occasion as ugly as possible I am reviewing a freaking romance, imagine it or not! Well, the book had some serious drawbacks, like rather offensive language used by all characters who, unthinkably for me, enjoyed very raunchy lifestyle. It became rather tiresome after a while. Not to mention very old, very threadbare tricks like the lack of communication between two people allegedly in love with each other. Apart from that I really truly hated body shaming – a female computer geek from the USA called Claudia is fat and the author through Holly abuses her mercilessly time and again… which sounded stupid and unjust, especially coming from a girl who was hardly an epitome of physical perfection. It could have been good… If only the sarcastic beginning lasted a bit longer… if only the book was a bit more cohesive… if only the author dared break more cliches. As it is – meh. 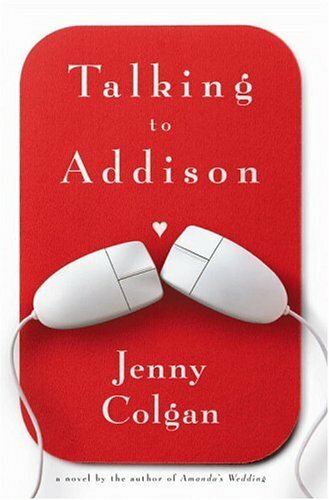 This entry was posted in book review, chicklit, contemporary and tagged a lot of bad language, jenny colgan, meh, not cute at all, sleazy heroine, stupid hero, talking to addison. Bookmark the permalink. What is happening!? Why are you reading Colgan?! From time to time I like challenging myself and going outside my comfort zone. Apart from that I like surprising you all :D.